An arranged meet up for two of us became an impromptu dinner for four as a couple of other friends came along for the ride. 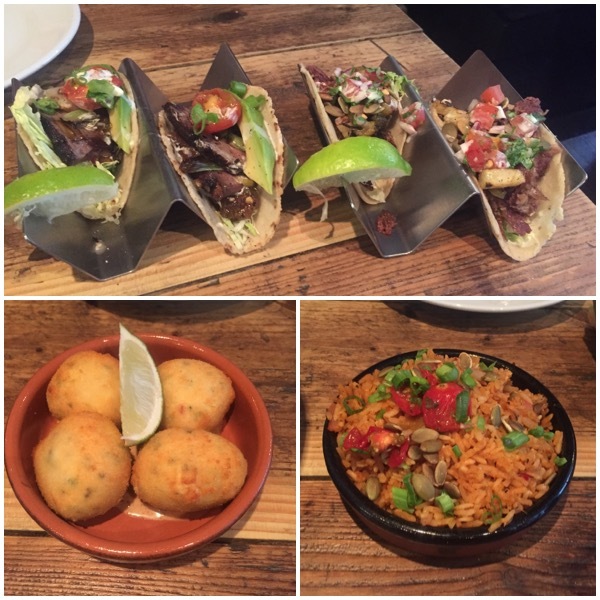 Situated in Newington, Diablo Loco offers a range of Mexican food in a relaxed , cheerful setting. Two of the group had already been here previously but two of us were newbies. I opted to go for the chargrilled marinated hangar steak. My friends picked the Diablo burrito, the Diablo wings(X2), crinkle fries and the fajitas. Frozen margaritas and wine were also ordered. When the food arrived, I was excited to tuck in. The steak was of really good quality. This was lightly covered in a beautiful habanero aioli and sat on a bed of ranchero sauce. Additionally potato cubes (patatas) and spring onions scattered the plate., almost like fancy chips This was a relatively simple but delicious plate of food. The fajitas across from me were an impressive sight, arriving with its own mini table. This was really a generous portion and highly satisfying. It could even be shared as a snack or light meal. You do have to put it together yourself, but that’s not a real hardship. The burrito was chunky and the chicken wings small but full of zingy notes. I did like the 70’s throwback crinkle cut chips which had a light dusting of chilli salt. These flavours paired with the frozen margaritas made for an excellent meal. Whilst I was too full for dessert, a couple of the group opted to have the churros with Dulce de leche. These were pretty decent churros, although one of the two would have preferred a chocolate dipping sauce. We had a fun time at Diablo Loco and it worth a visit. Would I eat here again? Certainly. Wahaca opened up earlier in the year to much fanfare and queuing (albeit inside, waiting in the bar area). Now the dust has settled, no queuing was required for a table. The brainchild of Masterchef’s Thomasina Miers, Wahaca has become a runaway success. We were seated in the upstairs area and had a friendly waitress who offered to go throuygh the menu with us but we declined as we thought it was quite clear. The menu offers street food type dishes, a bit like tapas, or more traditional ‘starters and mains’ type food. We both decided to get some dishes from the street food part of the menu. The recommendation is two to three dishes per person. I went for three and my friend went for two and a side. Similar to tapas, the dishes come out when they were ready. My first dish was the chicken tingas tacos. These were grilled chicken thigh in a chipotle and tomato sauce. I like a soft tortilla, so these were great to roll up and munch on. The sauce was lovely and the chicken was moist. I then tucked into some chilli quesadilla. This consisted on onions, jalapeños and feta. The quesadilla was a more substantial dish, with the chillis hot and tingley and the cheese all gooey. Yum! My last dish was the prawn tacos. This wasn’t originally what I ordered as I had chosen the salmon sashimi tostadas but they were out of salmon, which was a shame but as the fish is fresh we’ll let them off. The prawn tacos were excellent though so it more than made up for it. The flavour was excellent and the guacamole and tomato salsa complimented it well. The topping of chipotle mayo finished it off nicely. My only complaint was that my plate was taken away before I realised that I actually still had some salsa left on it. On the other side of the table the food was also going down really well. She said how full of flavour her dishes were. She had opted for the black bean and cheese quesadilla, the smoky chicken and avocado tostadas and a side of sweet potato chunks. For someone who doesn’t eat all her food normally, she cleared both the street food dishes and almost finished her sweet potato – a testament to how much she enjoyed the food. We both finished the meal talking about bringing people to try the food, so we must have been suitably impressed. A gift to grow your own Christmas tree with the bill was a fun idea (although you can also pay the bill with an app for an express checkout). Cost £35 for 4 street food dishes, one side, a beer and a margarita. The first I’d heard of Topolabamba was a tweet last week saying they were shortly due to open on Lothian Road. I later found out that Topolabamba was already a firm favourite in Glasgow and they’ve branched out to Edinburgh. I was invited with a friend to the VIP launch night to get a nosey. This restaurant, unsurprisingly, has a vibrant Mexican feel. 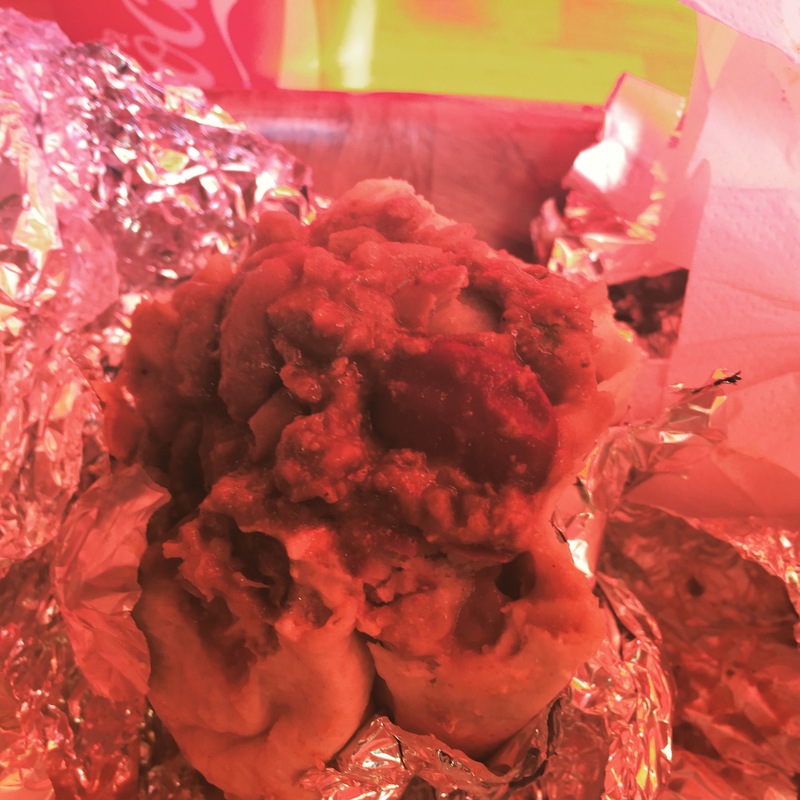 The menu mainly consists of street food but also offers some larger dishes if that’s your bag. Our lovely waitress said although the menu says 3-4 of the street food dishes recommended per person, she thinks 2-3 is more accurate. You even get little pencils to mark out on your menu so you don’t lose track of what you want to order. We went for three each (although sharing the lot between us) and we did struggle in the end to finish it all. However, it was still worth it. So we opted for classic queso fundido, Jalapeño poppers, Pasilla King prawn tacos, Crispy fish fried tacos, Calamares con morongo, Albondigas con casabel. Topolabamba also has a vast range of tequilas (although we missed the shots being handed out). We ended up getting a watermelon and an apple margarita each. I was a little disappointed their frozen margarita machine wasn’t ready yet as they have a nice mango one on the menu. The margaritas we had were lovely though. The classic queso fundido was essentially corn chips with a cheese fondue which had peppers and chorizo mixed into it. This was amazing and I could have happily eaten just a giant portion of this. The cheese was perfectly gooey and lush. The jalapeño poppers were large and had chilli cut through the cream cheese rather than a stuffed chilli. It came in a beautiful Bravas sauce. However, these were very hot, at least for my palate, so I had to have a little rest to let my mouth recover before continuing. It was worth it though, although my friend found them a little too large for her liking as she found the cream cheese a little overwhelming. They weren’t exactly ‘popper’ sized. The King prawn tacos and crispy fish tacos were quite similar but equally lovely. The tacos themselves were a delight, with the Mexican slaw a particular highlight. My friend really loved the crispy batter, as it genuinely was crispy. The prawns and fish were beautifully cooked. The calamares con morongo were baby squid, stuffed with minced pork, black pudding and ground chorizo and they were sat in a chilli sauce. I quite enjoyed these. The squid almost acted like a sausage casing but with more flavour. Finally the Albondigas con casabel were beef and pork meatballs in a casabel cream sauce. These were a big punch of meat and were delicious. Whilst I was really struggling to fit in any more food, my friend wanted to try dessert, so we went for the tequila toffee pineapple and got two spoons. If we’d had more space we would have tried the churros. However, the pineapple dessert was perfect; sweet but not sickly so. Pineapple in jelly with flecks of chilli, toffee sauce and cream. Yum. We both really enjoyed Topolabamba and were already talking about heading back again before we’d even left. Please note that whilst thie meal was complimentary, views expressed are my own. Thanks to Billy from Topolabamba for the invite. Illegal Jacks previously was situated on Lothian Road and had rapidly become an institution in Edinburgh before it’s untimely demise through no fault of its own. I was pleased to see it was able to re-establish itself elsewhere and in a better location for me. I will declare my interest here as I did contribute to the Kickstarter campaign to get Illegal Jacks back on track. I nipped in here at lunchtime with a work colleague. The venue is a fair bit smaller than its previous location. It has a squished service area which makes it perhaps a little slower in terms of service but this leaves a bigger dining area for the customers. We both ordered small burritos. I went for beef chilli with pinto beans, mild salsa, cheese and soured cream (all laid on a bed of rice). My colleague went for the same but with haggis to replace the chilli. I got a refillable diet coke. My colleague had wanted a bottle of water but disappointingly they didn’t have any even though it was on menu. So she opted for a refillable diet coke too. I do have to apologise for the poor quality of photos as I managed to remember to take a ‘before’ photo but only remembered to take a photo of the unwrapped burrito when I’d almost completed demolishing it! 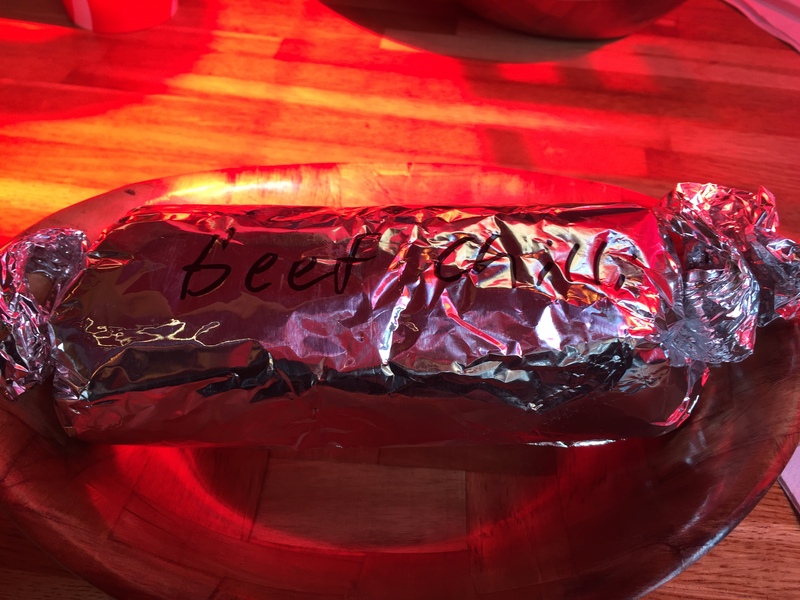 The burrito is served in foil, which makes it perfect as a take away back to the office or on the way home if you don’t have time to sit in. Unwrapping the burrito and taking the first bite resulted in delicious gooey-ness. The tortilla was nice and soft and the filling was generous. All the fillings were tasty and worked really well. On the other side of the table, my colleague also thought her burrito was nice but the haggis lacked a bit of spice and was a bit sloppy. She couldn’t work out whether it was because she was a ‘haggis snob’ or whether this was a genuine improvement which could be made. The venue itself is covered in red and black hues with chipboard to make it look all industrial. The best bit for me was the 80s music playing in the background. I couldn’t help but have the odd shimmy whilst eating. This is a solid return for Illegal Jacks. I am looking forward to trying other menu items on a return visit. El Cartel is a little Mexican on Thistle Street. As it is small you cannot pre-book so it is a gamble as to whether there will be a table available for you on arrival. Luckily we didn’t have that problem but the place was quite busy. 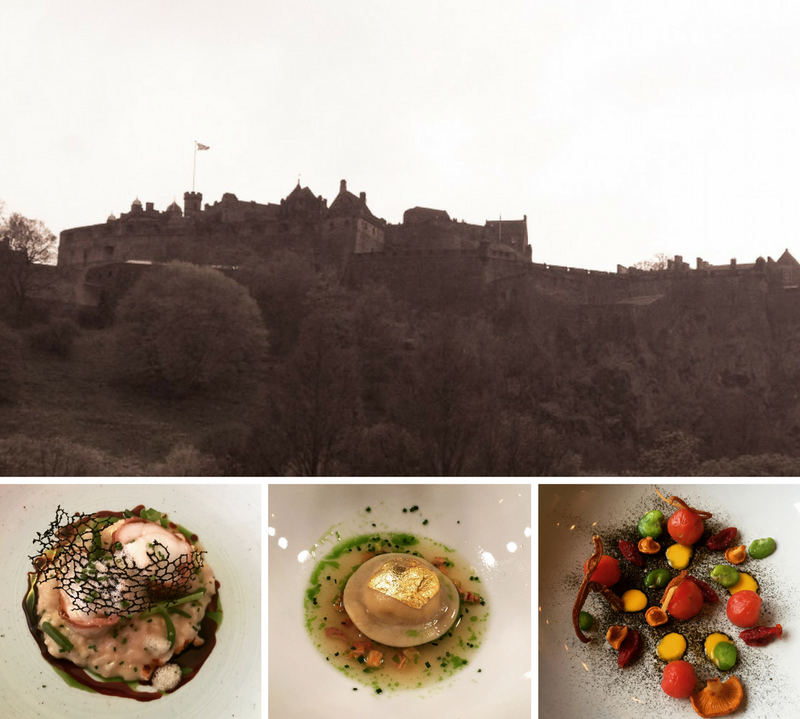 The menu is relatively short but still full of tasty treats, all of which sounded tempting. Whilst there is some choice, the main staple is tacos. We opted for duck carnitas and carne asadas (which came in pairs) and also went for some red rice and bombers, which were jalapeño cheese bites. We also ordered the obligatory frozen margaritas. We both went for the apple and apricot version that was on offer on the specials board (although it was a bit confusing as to whether they were two separate flavours or combined until we ordered). The food came out quickly. Firstly we got the bombers. There were four of these and were of a generous size. They sat in a small amount of sauce that had a spicy kick to it. I have to say I was expecting cheese stuffed in a chilli, however it turned out to be chillies cut up into the cheese. That wasn’t a problem though as they still had great flavour. Then came the tacos and the rice. The tacos stood in stands, although they were a little difficult to get out and onto the plate without spilling any and ended up being a knife and fork job rather than using hands. That said, these were delicious and my preferred type of taco with a soft encasing rather than a hard crisp type one. They even seemed slightly healthy with seeds adorning them. The duck was crispy and surprisingly went very well with the pineapple, which was charred to give extra dimension. The carne asadas had a bit of spice and kick but the steak was soft and cooked just how I like it. The rice had plenty of flavour and there was more than enough for two. If we had a bit more room in our stomachs we may have taken the option of three sides together. Service had been speedy throughout but when water was topped up it was done with haste and splashed into the food, which wasn’t the end of the world but a bit of a shame. As all the food came really quickly, we found we didn’t actually spend a great deal of time in here but we certainly enjoyed the food and is great for a quick pit stop. 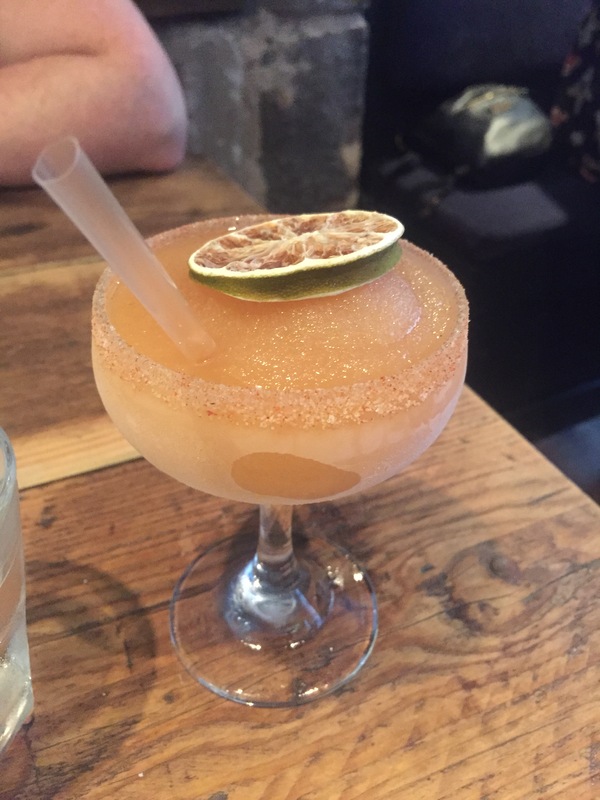 Cost – £35 for two sets of tacos a side and another dish plus two frozen margaritas.